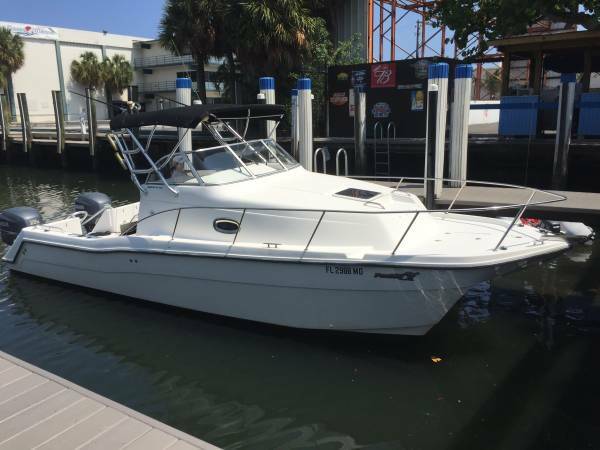 2003 PRO SPORT BOATS 2660 Prokat WA 2660 Prokat with Yamaha f225 Four Strokes, all updates to motors, only 635 hours and just serviced. Great Loaded Boat with New Upholstery!!! EPIRB and much more! 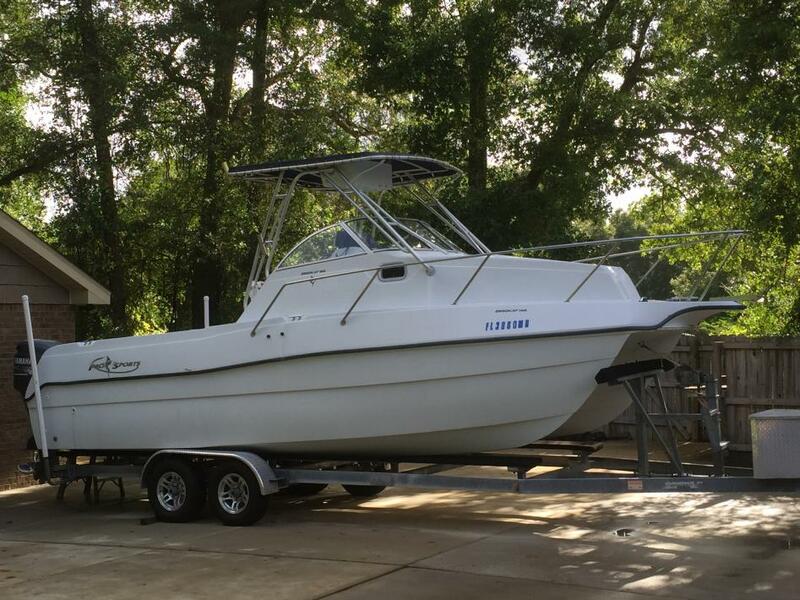 New Batteries, Built in Charger, Large Live well, Dive ladder, Folding Top for low bridge clearance, Fresh Water Shower, Salt Water Wash-down, Lewmar 900 windlass, lenco trim tabs, Yamaha fuel management, Spacious Cabin With Air Conditioning, Norcold 12v Refrigerator, Electric Macerating Jabsco Ceramic Head, Large queen-sized bed, Starboard Cabinet. Lots of Storage, large fish box and overhead florescent light for night fishing. Give me a call to see.